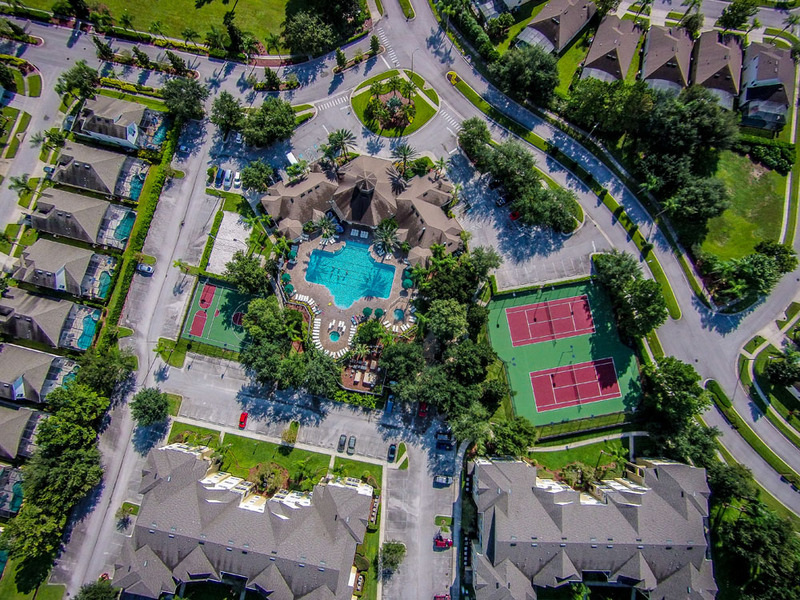 Luxury Orlando Villas, Townhomes and Condos Just 3 Miles Miles From Disney World. 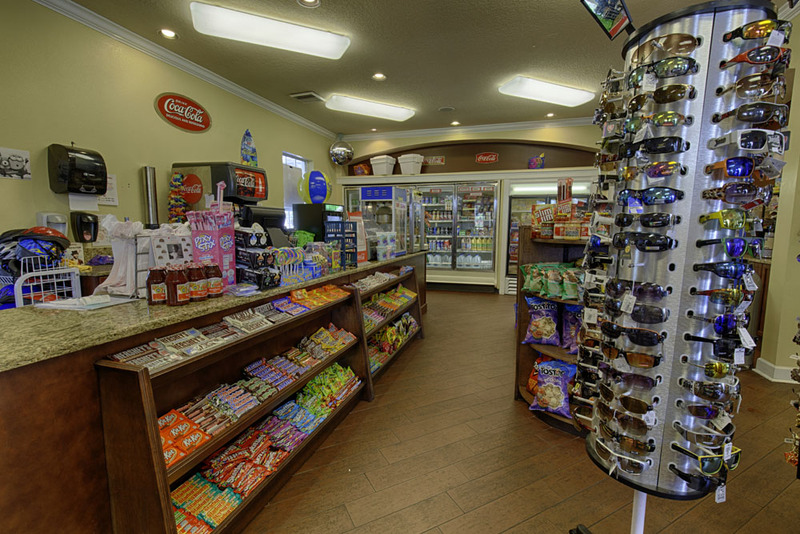 Proudly serving guests since 2001! 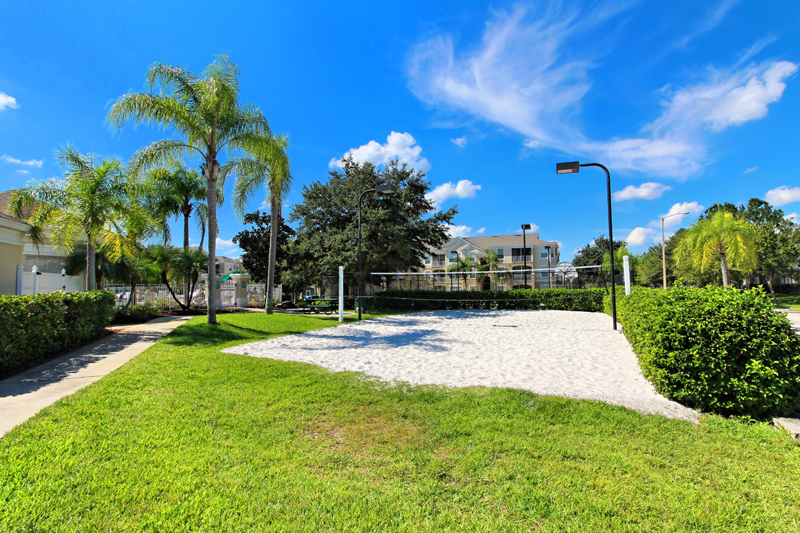 The fantastic resort-style secure gated community of Windsor Palms, formerly wyndham palms resort, is ideally located just three miles from the Disney entrance, and has comprehensive resort facilities that are freely available to all villa guests. 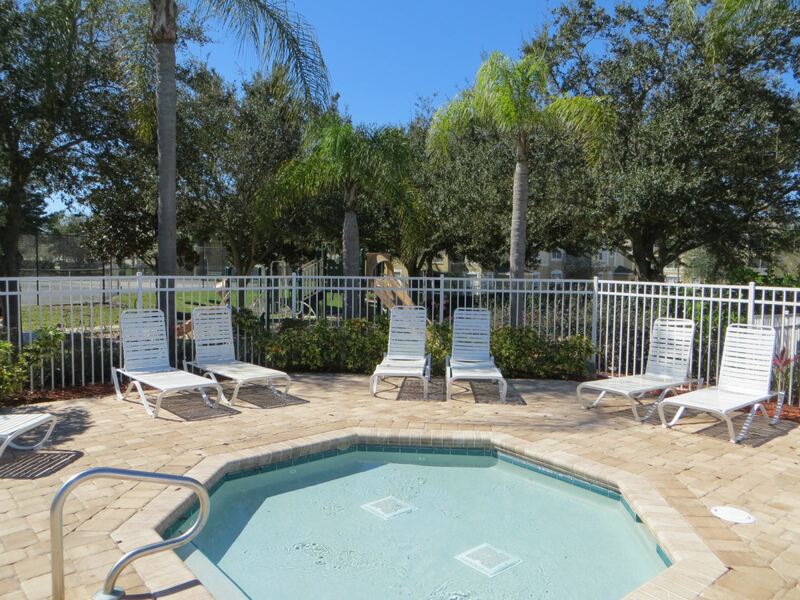 So, whether you're in Florida for the attractions or simply to relax, this the perfect location for your orlando rental home. 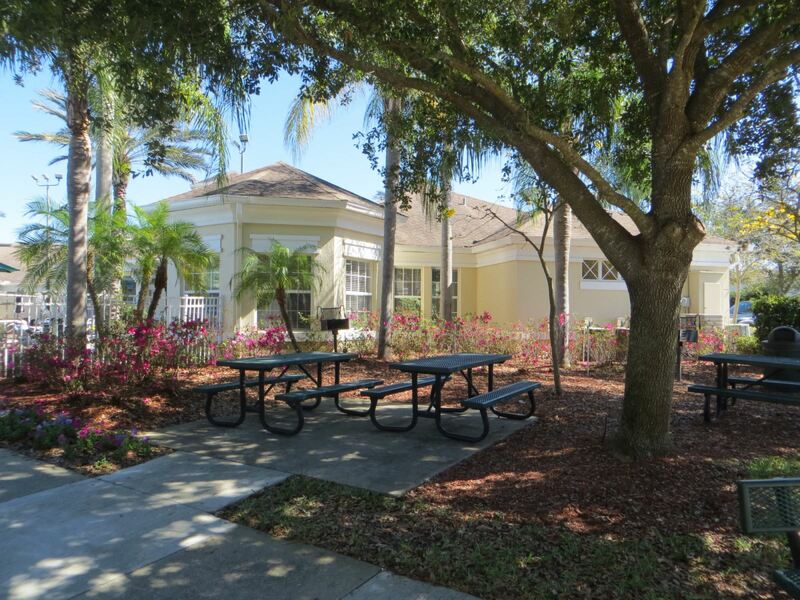 Windsor Palms Resort is just one mile from the eating, shopping and services of the Formosa Gardens area of the US192. 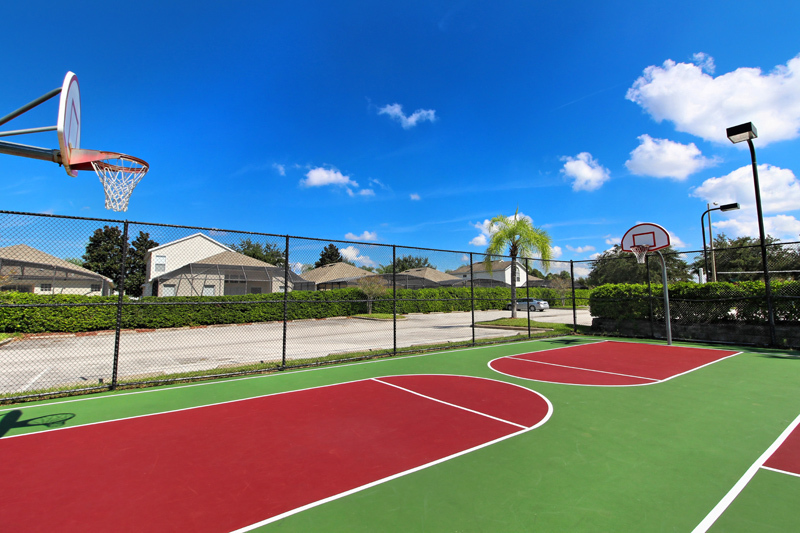 Windsor Palms Resort-style community consisting of florida villas, townhomes and condos is located off Hwy 192 West at Mile Marker 4 - approximately 3.5 miles from the Disney World theme parks. 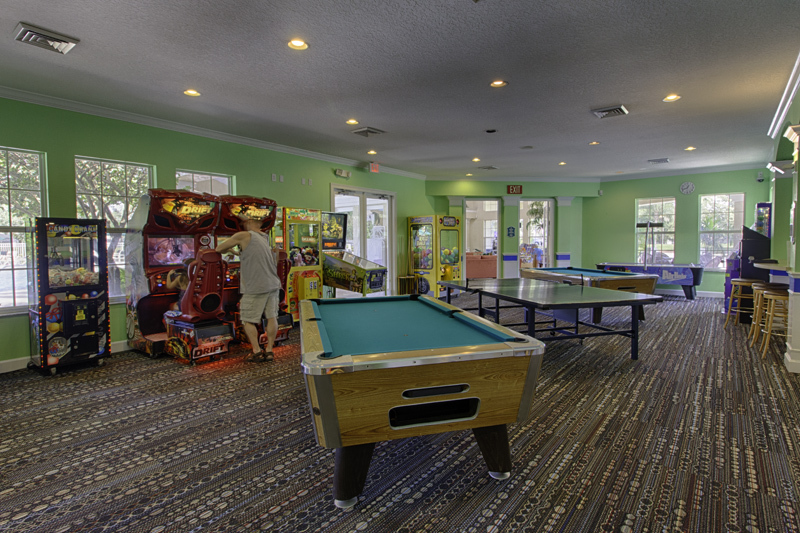 With lots of extra amenities and features it is one of the most popular destinations for families visiting Orlando, Kissimmee and Florida. 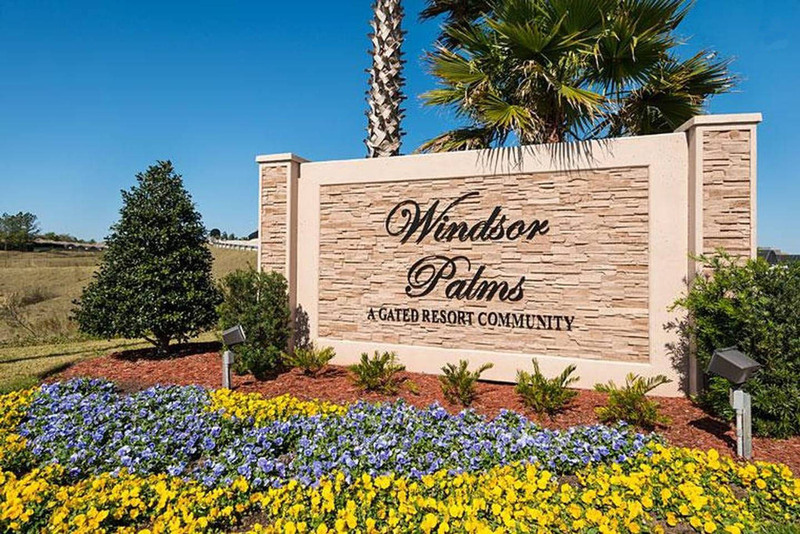 To get to Windsor Palms (formerly wyndham palms), follow Highway 192 West from the Orlando International airport to Mile Marker 4. At this intersection,take a left turn, and follow Formosa Gardens Blvd for ½ mile to the intersection with Funnie Steed. Cross and continue on Formosa Gardens Blvd past Oak Island and Indian Creek entrances (on your right) and then Windsor Palms entrance is 200 yards on your right. Security is a paramount concern to all guests. Our resort is among the safest in the area. There is one bridged entrance and all our boundaries are protected naturally or by urbanisation. We have recently opened the Windsor Palms Travel Shop where you can book all your travel requirements such as Orlando flights, Florida Car Rental, travel insurance & Caribbean Cruises. Plus we are also agents for Disney attraction tickets. 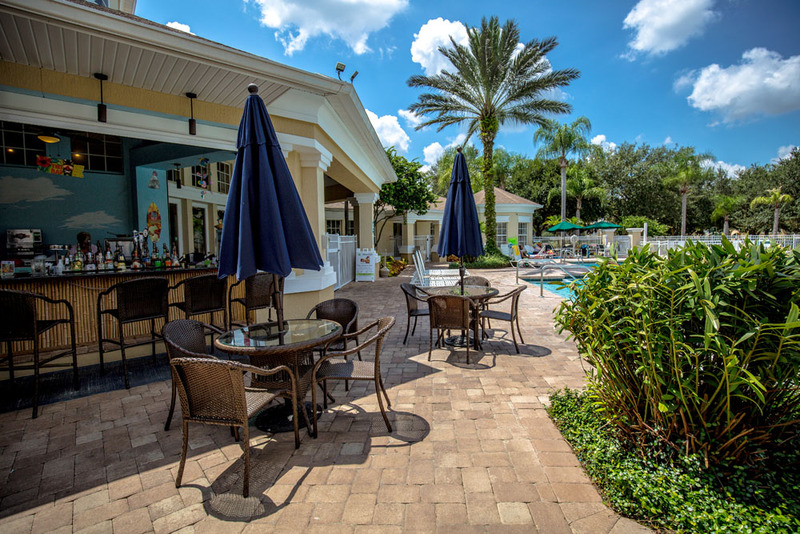 Why not consider our luxury resort as as base for your Florida Wedding - Orlando Honeymoon? For those guests that wish to take a break from the parks the Walt Disney World area of central Florida is a shopper paradise! We have a comprehensive retail therapy section in our Visitor Guide along with a host of other useful advice. 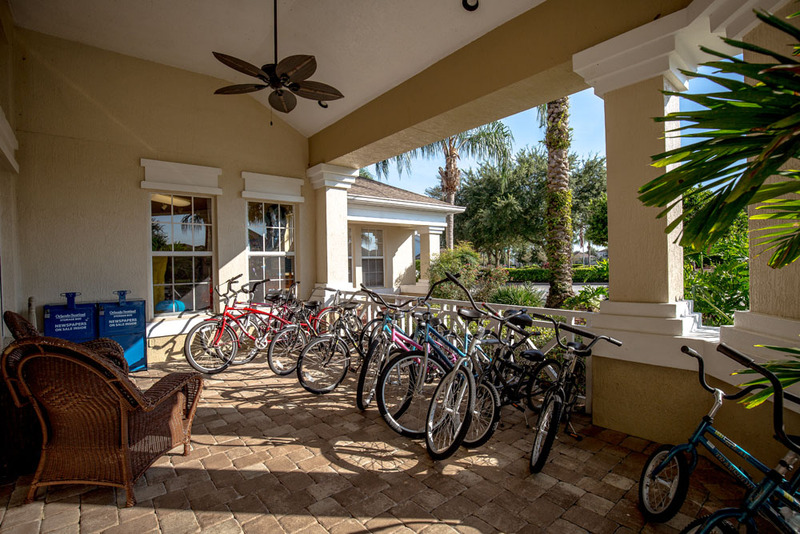 Windsor Palms Orlando offers access to a shuttle bus service that transports guests to the Magic Kingdom, Epcot, Animal Kingdom, Disney's Hollywood Studios, Sea World and Universal Studios (local charge applies). Please see our FAQs for more details. We have a Theme Parks Tips page that will be invaluable to new visitors. Try our Disney Freebies page for Walt Disney World - Free & Affordable Things To Do. For your convenience we sell discount attraction tickets that can be delivered to our villa or collected locally in Florida. 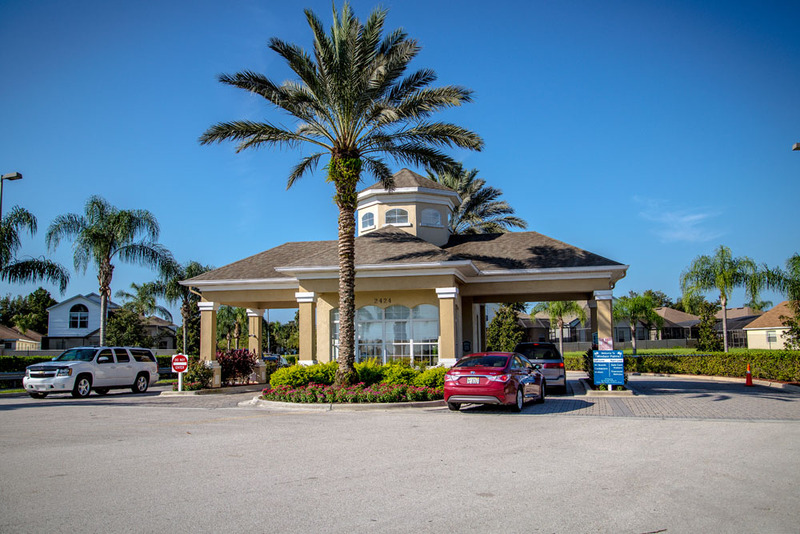 Our resort is next to Mystic Dunes Florida Golf and guests will enjoy seasonal preferential fees. 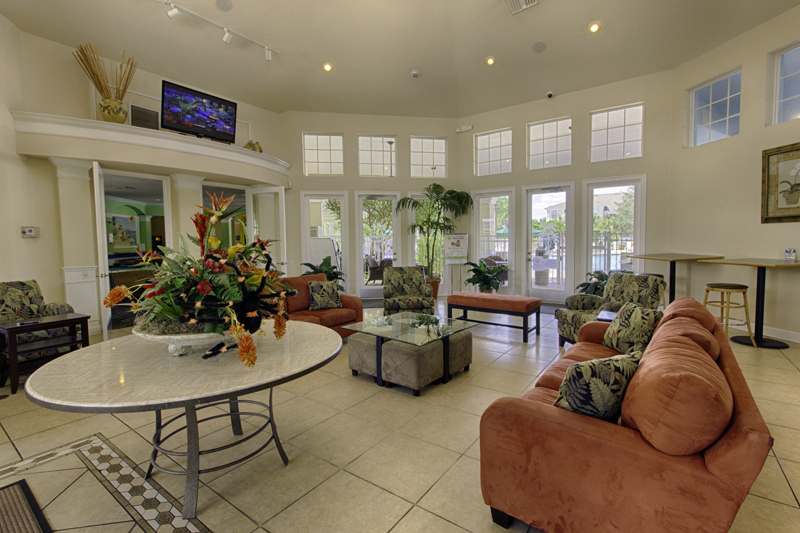 The Owners Group at Windsor Palms Kissimmee offer the unique opportunity to book direct with the owner. All our owners undergo strict verification so you can rest assured that you can book your chosen home with complete confidence. 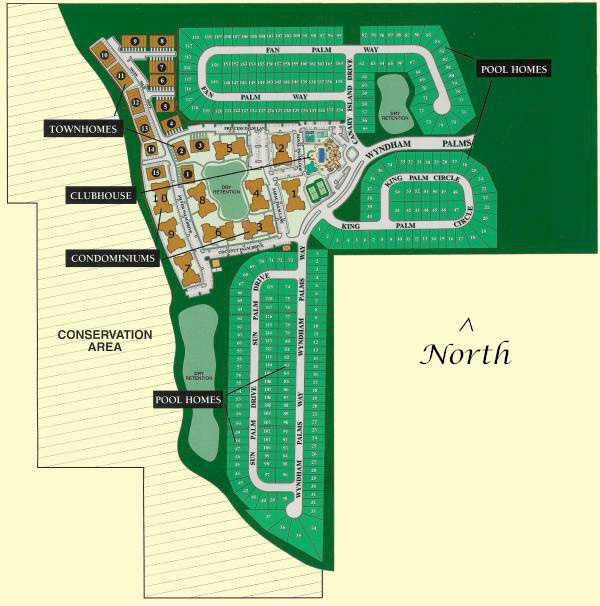 Additionally the pictures and descriptions will be accurate for your chosen home. 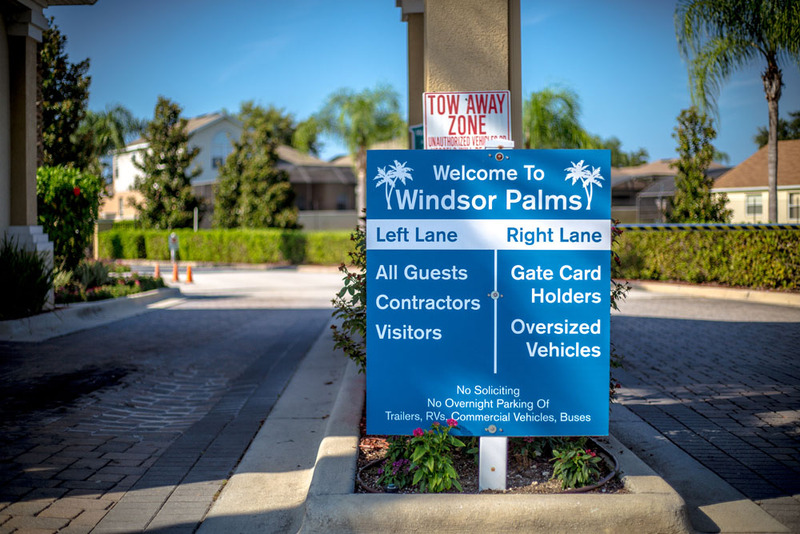 The Windsor Palms Community Rules are provided to ensure a peaceful, safe and enjoyable vacation environment for all our guests. The resort is managed and operated by a team of dedicated and friendly staff. 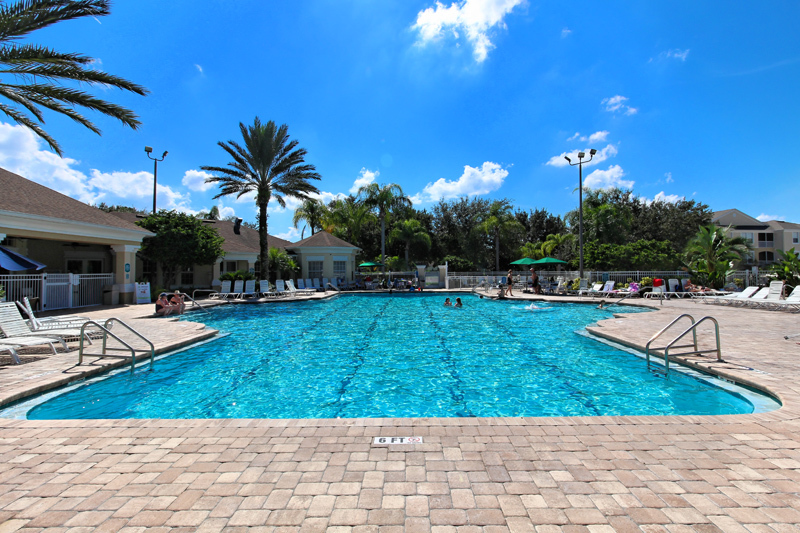 As you can see from the various views shown here Windsor Palms has a quite stunning community pool facility. 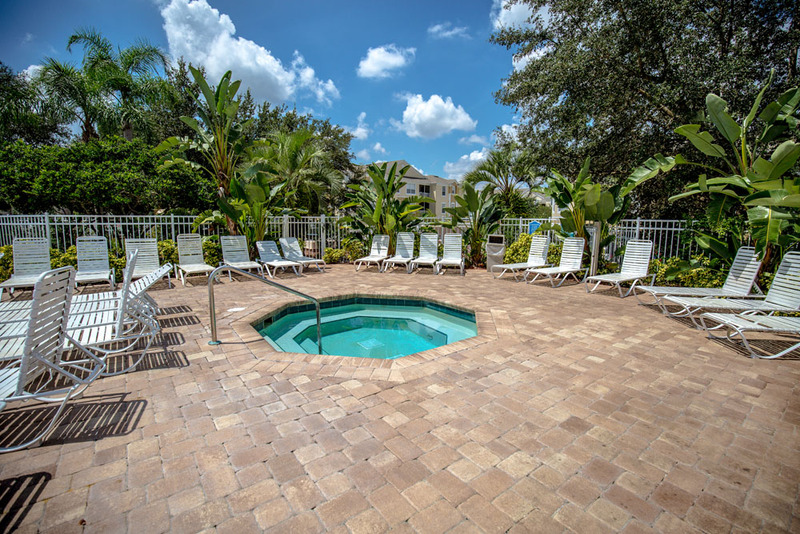 The pool area was recently refurbished and consists of a large heated saltwater swimming pool, separate toddlers pool, splash pad and a whirlpool spa pool. Ample sun loungers and a large deck area with shaded tables and chairs make it a perfect spot for a days sunbathing. 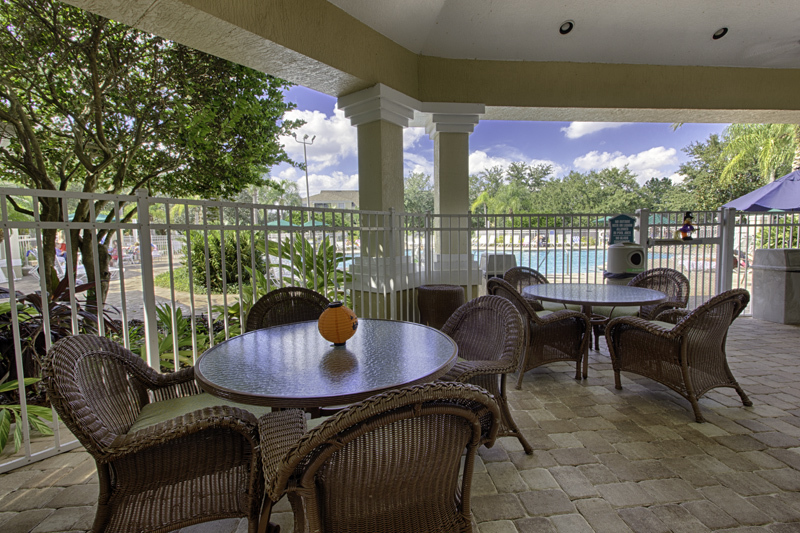 Total relaxation and luxury at this disney world area vacation resort. 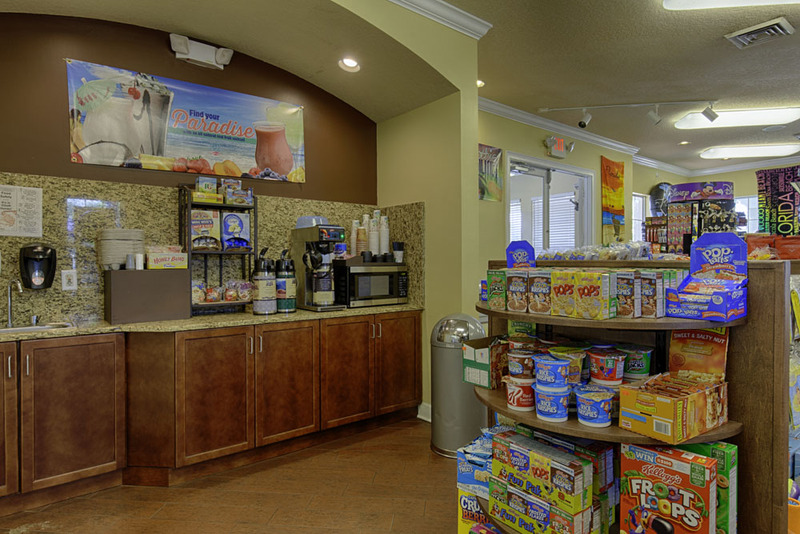 Windsor Palms has a 7,500 square feet clubhouse containing a convenience store and comfortable lounge area. 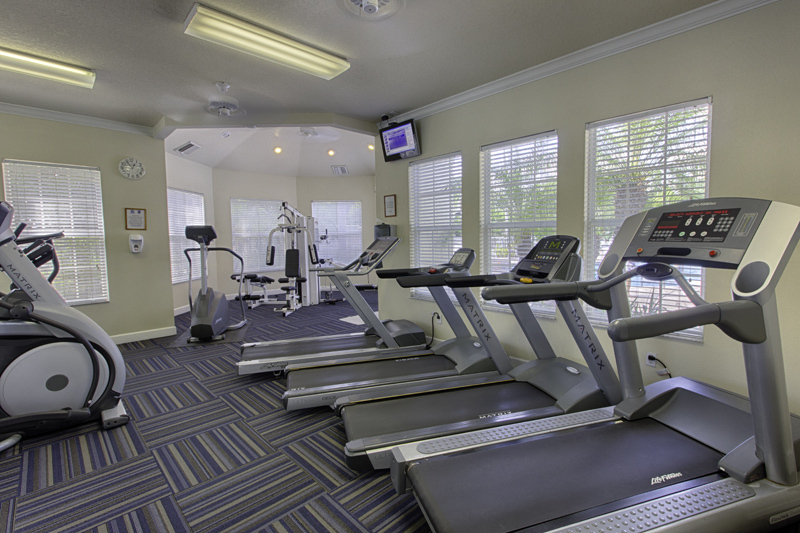 It has a fully equipped gymnasium and a games room. 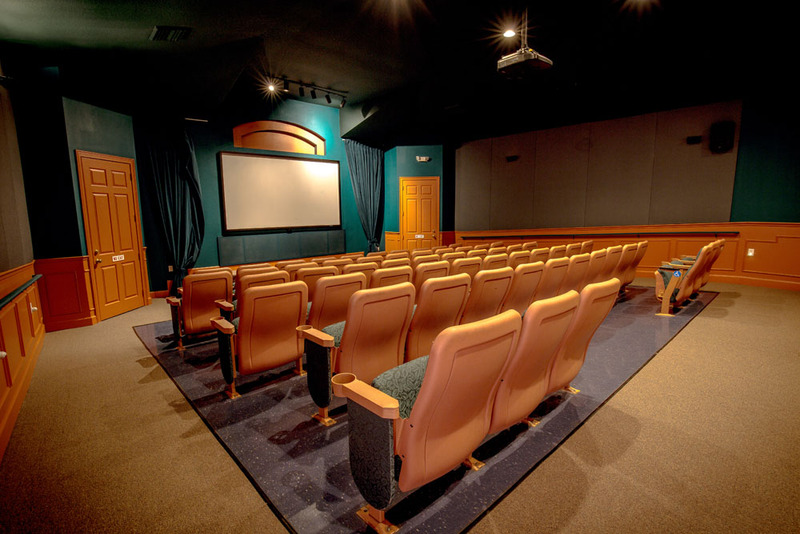 In addition to that wonderful array of facilities it even has it's very own 58 seat on-site cinema. A shuttle (small charge) to the major parks runs daily for those not wishing to drive. 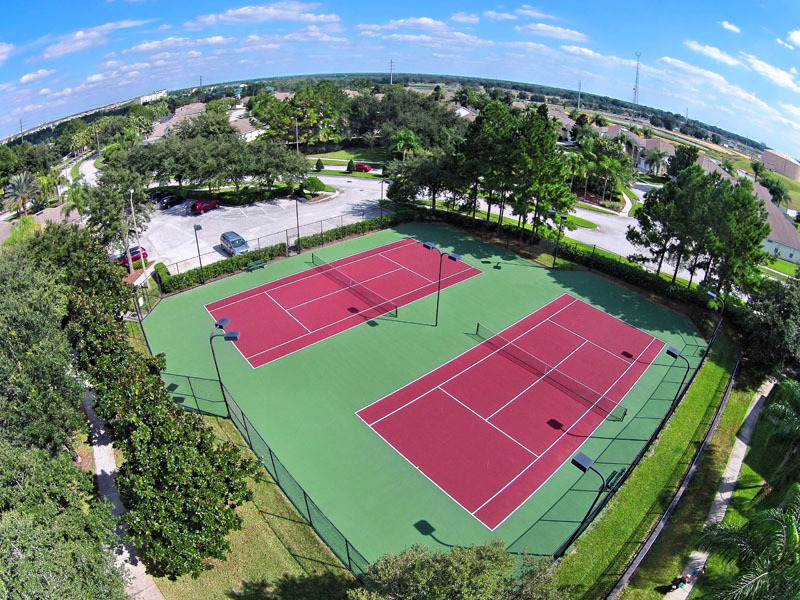 The more energetic guests will appreciate the convenience of two on-site tennis courts and other sports facilities. 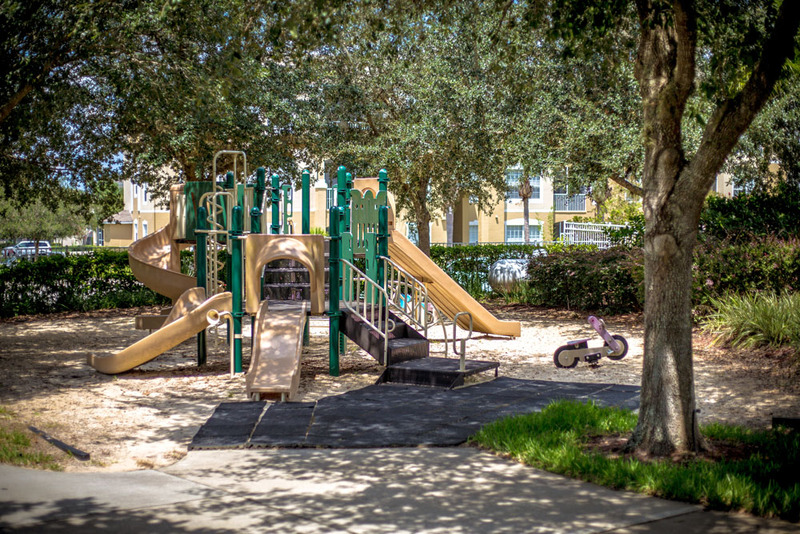 The wonderful range of on-site activities is completed by a children's play area plus there is also a picnic and barbecue area.